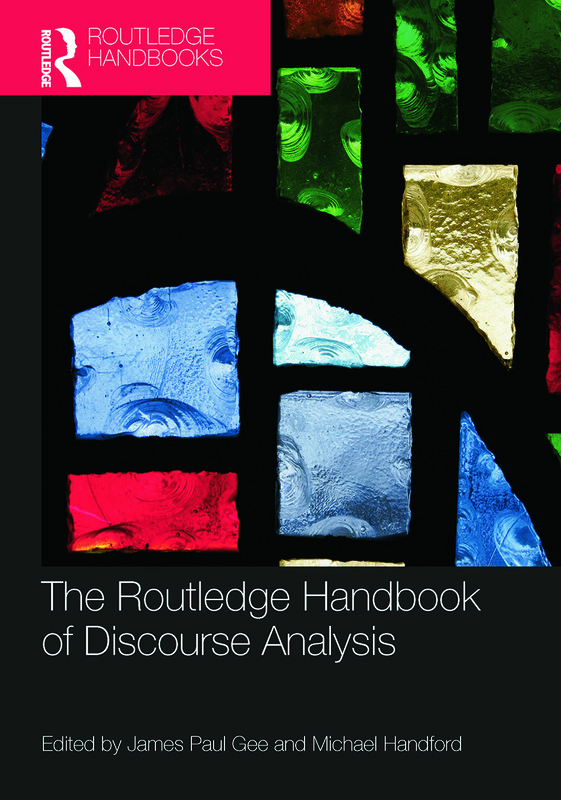 The Routledge Handbook of Discourse Analysis covers the major approaches to Discourse Analysis from Critical Discourse Analysis to Multimodal Discourse Analysis and their applications in key educational and institutional settings. The handbook is divided into six sections: Approaches to Discourse Analysis, Register and Genre, Developments in Spoken Discourse, Educational Applications, Institutional Applications and Identity, Culture and Discourse. The chapters are written by a wide range of contributors from around the world, each a leading researcher in their respective field. All chapters have been closely edited by James Paul Gee and Michael Handford. With a focus on the application of Discourse Analysis to real-life problems, the contributors introduce the reader to a topic, and analyse authentic data. The Routledge Handbook of Discourse Analysis is vital reading for linguistics students as well as students of communication and cultural studies, social psychology and anthropology. James Paul Gee is the Mary Lou Fulton Presidential Professor of Literacy Studies at Arizona State University. He is the author of many titles including An Introduction to Discourse Analysis (1999, Third Edition 2011); How to do Discourse Analysis (2011) and Language and Learning in the Digital Age (2011), all published by Routledge. Michael Handford is Associate Professor in English Language at the University of Tokyo. He is the author of 'The Language of Business Meetings' (2010).